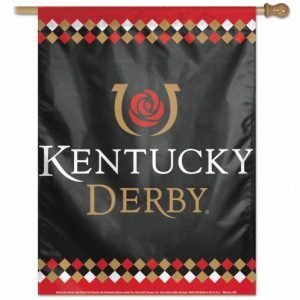 Represent the Kentucky Derby with this Kentucky Derby Nylon Vertical Flag. This officially licensed 28″x40″ Banner is made from durable polyester material and features a sleeve along the top for a pole to slide into. Designed to hang vertically from an outdoor pole or inside as wall decor. Made in USA.. Represent the Kentucky Derby with this Kentucky Derby Nylon Vertical Flag. 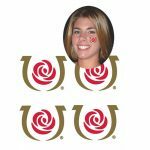 This officially licensed 28″x40″ Banner is made from durable polyester material and features a sleeve along the top for a pole to slide into. Designed to hang vertically from an outdoor pole or inside as wall decor. Made in USA..